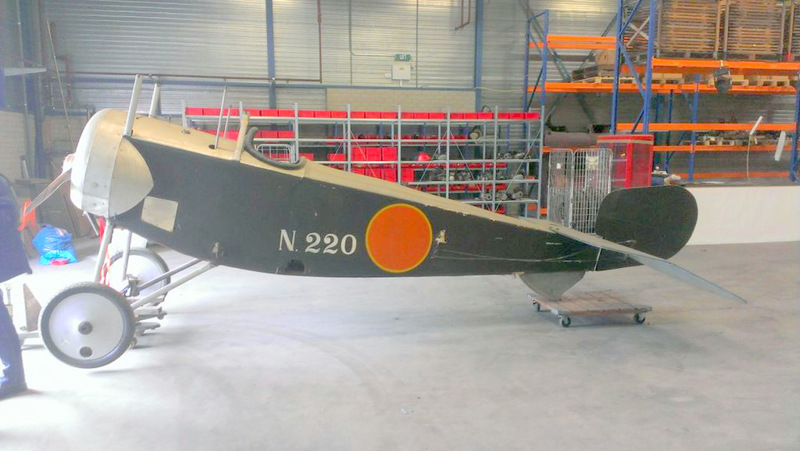 The Aviodrome in Holland is getting ready to unveil a new exhibit dedicated to World War One. 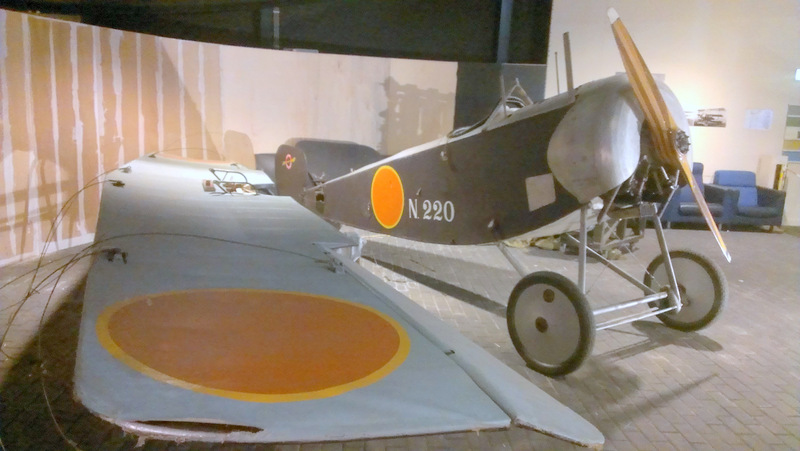 The museum is creating a diorama which will include a replica Spijker V.II 2-seat biplane and a Nieuport 11. The Spijker (pronounced Spyker) was an indigenous Dutch design, although the famous automobile manufacturer built very few of them. The original two-seater variant had a 80hp Thulin engine. However, the aluminium tubes, spoked wheels and other components evident, suggest the replica may be originating from an Airdrome Airplanes kit. A replica Nieuport 11 is the other arrival at Lelystad, acquired from the Louwman Collection (the National Automobile Museum in The Hague). Interestingly, this aircraft was also on display for a period at the Autotron in Rosmalen according to Bob Ogden’s Museum’s book. Along with the Spijker and a Fokker Dr1 triplane replica already with the Aviodrome, the Neuport 11 will form the new WWI display. On another note, the Aviodrome is also organising a Planes & Trucks Fly-In for 16/17 August. 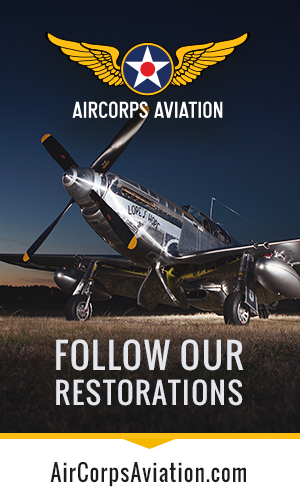 For more information visit Aviodrome.nl.